Mr President, I speak in support of the Protection of Endangered Species of Animals and Plants (Amendment) Bill 2017. This bill has been long overdue, especially for an international city like Hong Kong. I know that most citizens in Hong Kong, including myself, have always assumed that such a ban on ivory trade in the 21st century is something that needs no debate, or many may even have thought that such ban was already in place. Unfortunately, ivory trade is one where actually Hong Kong is ranked high up there in a negative way. I still remember vividly some of the scenes from the bills committee. During a public hearing in which a couple of rangers from Africa came all the way to Hong Kong to testify, and they were telling the story of one of their fellow rangers who was recently murdered in cold blood in Tanzania by illegal poachers. Yet, in the same hearing, local Hong Kong ivory traders were telling their side of the story, how the ivory art, craft and skills must be preserved, how it took them more than twenty years to try to get their ivory stocks down but yet the locally held stock might have actually gone up and it was none of their responsibility, and on and on. Not only did they turn a blind eye to the killings of elephants and ivory in Africa, some of them even showed a very scornful attitude toward the conservationists and even the African rangers. I remember I was so angry at such display of selfishness and so ashamed that some Hong Kong people, Hong Kong businesspersons had sunken to such a low and despicable level, that I had to apologize on their behalf to our international friends, and I had to tell our international friends that these people’s attitudes were in no way representative of what the people in Hong Kong really thought about ivory trade, and that we were solidly against poaching activities, and the killing of elephants and people in Africa, all in the dubious name of protecting some art and craftsmanship. But I think this is not the kind of art and craftsmanship that we as a civilized and internationalized community in Hong Kong should see any value in preserving. 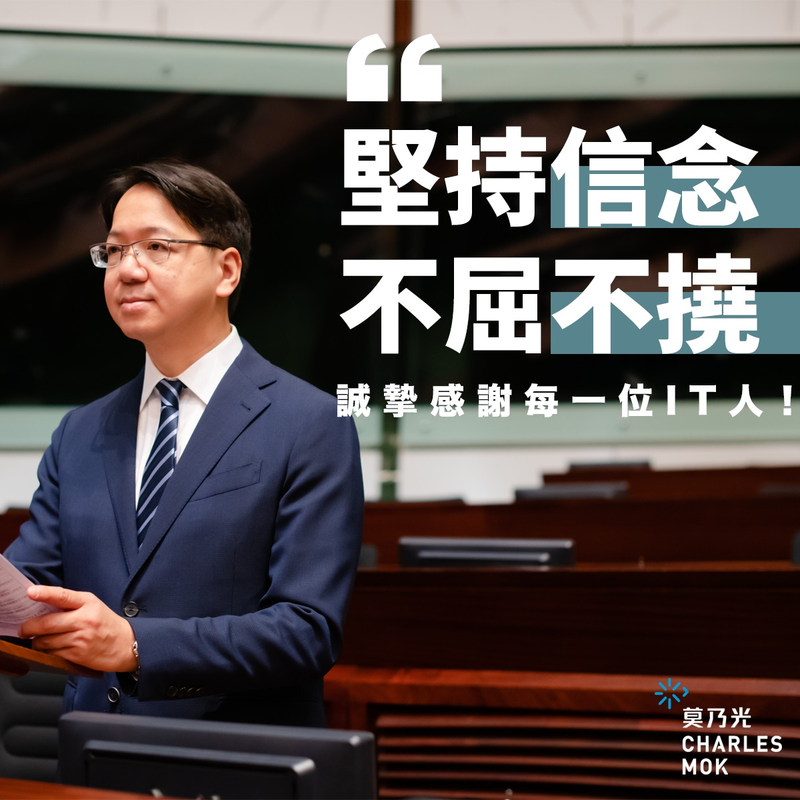 And I want to tell our Legco colleagues from the business community who are trying to label these vested interests being ivory traders as the victims, I want to say, I also am a part of the business community, and the business people I meet are all in support of a complete ban and no compensation. I am afraid this time you do not represent the views of the majority of the business community of Hong Kong. In the bills committee, there was also considerable debate on the effectiveness of the international ban on ivory trade. Indeed, some people over the years have argued that a legal ivory trade may be more effective in saving elephants. However, I think it is clear that after considering all the evidences that are in, the international ivory trade ban is still the most effective tool we have to save our elephants from being massacred. Some said that the ivory ban approach has made prices higher and poaching more lucrative. But how much of such claim is evidence-based, and how much of it is just an excuse made by those who stand to gain the most from ivory trade. Many academics have reminded us that legal trade backfired badly in 2008, including the American Association for the Advancement of Science. In 1989, the United Nations supposedly already banned international ivory trading. But it came at a time when Asia’s economy was growing, and increasing wealth in the region still drove up demands. Since 2008, elephant poaching came back in a big way, because of new buyers in Asia. In 2009, there was a one-off, global commercial sale of 102 tonnes of stockpiled ivory. It generated more than US$15 million, money that supposedly went to elephant conservation efforts, and local African communities. Supposedly further sales would be banned. But, what happened was this one-off commercial sales actually led to bigger demands, including from new buyers and new traders. How do you tell the traders to stop? Do you tell them to give it one last try, and then stop for good? No, they will come back for more, legally or illegally. You tell them to stop, period. Legal ivory trade cannot help save elephants. In fact, this is not only true internationally, as our own experience in Hong Kong in the last ten to twenty years could show you clearly — the ivory traders will come back for more and more. You give them a stay on the ban, and they come back for a longer period. You give them money or other means to compensate for their stocks, they will come back for more. This is Hong Kong’s experience, and if we have anything to offer to the rest of the world, we should tell them, we learned it the hard way. No extension, no compensation, because we have already seen how the ivory traders will keep on coming back for more. I heard some colleagues in our chamber asking for government leniency to sell their stocks, but I think the five extra year of extension to take care of their stocks is already too long. Or one of our colleagues even said that the government should acquire their stocks and put them in our museums. I say no, I don’t want to see these dubious “art” anymore. If I have my say, I say, burn them like opium. So, I thank the government for sticking to its original position of no compensation. This is one time you did not bend to the vested interest, and you did it right. The fact is, elephants are dying. No, they’re being killed. In 2016, a most extensive count of any wildlife species was conducted on African savannah elephants, in what was called the Great Elephant Census. Technology was used, and an almost half a million kilometers of distance was aerially surveyed, and the conclusion was that, there were only about 350,000 African savannah elephants left. That was down 140,000 since 2007. Nine years, more than a quarter gone, dead, killed. The researchers were unable to survey forest elephants, which are smaller and more reclusive, and they live in west and central Africa in the forests, and the research team wasn’t able to use aerial surveying techniques to count their numbers. But, if we include them in the survey, the result could only mean that the number of elephants killed will be even higher. To African officials, the fact that these declines are due to poaching, encouraged by ivory traders, is in no doubt. Ivory trade is a blood trade, period. Over the last twenty years, despite stepped up efforts by conservationists, the amount of seizures of smuggled ivory, and the size of the carved ivory market has become bigger and bigger. That is the evidence. Many legislators have expressed that elephants are a beautiful species, loved by our children of all generations. But elephants are also intelligent, and research has shown that they are possibly even highly conscious as a species. The kind of kinship and family based relationship that biologists and scientists have found among elephant herds clearly indicate that they are part of a small and select group of mammals with intelligence and consciousness. Losing this species will actually also mean that scientist will have one less species to study and understanding how human beings developed our intelligence and consciousness. In this sense, while the elephants seem to be very distant from homo sapiens as a species biologically, in another way we human beings are indeed close relatives with the elephants. Why is Hong Kong lagging behind in banning ivory trade? I think the biggest reason remains our mindset and tendency to get bogged down by the demands of the vested interests. While international ivory trade is illegal, some countries permit internal sales because it is more difficult to inquire closely within a country’s border as to where the ivory tusks came from. It then is important to remember that China, the largest ivory market in the world, with an estimate of over 70% of ivory sold, has started a ban on ivory sales inside China, since the end of 2017. This is the “one country” that we have to uphold. According to even international standards, reports have come in that China seems to be very serious about banning ivory trade. Not only that shops are closed, celebrities have come out to support anti-ivory propaganda campaigns, including celebrities like Yao Ming, the basketball star. But where are the new shops and workshops being opened now, after China? Vietnam and other of China’s neighbors. Yet, we cannot use that as an excuse to say, oh, they are still doing it, so we can also continue. We should not sink to that level. Hong Kong has our international commitment to uphold and our international image to be protected. In addition, we actually have a duty to make sure that the Chinese ban will be successful, with our help, and not with us dragging the feet of the Chinese policy makers in trying to make sure the Chinese and Hong Kong ivory bans are as successful as it can be. Outside our chamber, in the Legco protest area today, a large group of Hong Kong people including many children and young people had gathered and they were chanting “Stop Hong Kong ivory trade. 禁止香港象牙買賣！” That is their call, our call, and the call of the African elephants. Today, finally, Hong Kong is meeting the global standard of banning ivory sales. There must be no turning back. There will be no turning back.